BookMarketingBuzzBlog: Interview with author James Michael Castleton, M.D. Interview with author James Michael Castleton, M.D. 1. WHAT REALLY INSPIRED YOU TO WRITE YOUR BOOK , TO FORCE YOU FROM TA K I N G AN IDEA OR EXPERIENCE AND CONVEYING IT INTO A BOOK ? After nearly 30 years of medical practice, it has become clear that meaning is the driving force for our existence—it is our reason for living and the rationale for why we do what we do. Its absence is also the principle cause of most disease and despair. Yet, even as meaning is not a new topic, I realized that it does not have the impact on clinical practice it should because of the imprecision with which it has traditionally been defined. Meaning has been too often discussed without actually clarifying what it means and has been used interchangeably with other terms, such as purpose, hope and happiness, with which it is not synonymous. As I saw patients go round-and-round seeking but never finding meaning—and suﬀering the emotional and physical consequences—it became clear that unless the meaning of meaning were clearly understood, most attempts to encourage people to make healthy lifestyle changes would fail. When life served me up my own crisis of meaning, I had personal and professional reasons for beginning the investigation that lead to this book. TA R G ET E D READER? This book is about the nature of meaning and the purpose that gives life hope. I endeavor to explain, not simply how to live a meaningful life, but what it is that you are feeling when you find life meaningful—and why this emotion is built into our natures, so that you can create not simply imitate a meaningful life. Because meaning is not an end in itself, but is a byproduct of a way of life, this begs other questions—such as what it is a byproduct of, and I discuss how meaning relates to purpose and hope, as well as how it diﬀers from happiness—also an essential emotion. A common misconception in Christian circles is the notion that happiness must be denied in order to find life meaningful. This is a terrible myth and I discuss what it is that does need to be denied, as well as what needs to be cultivated, so that life can be experienced as both happy and meaningful. I also discuss how each contributes to the contented life. Victor Frankl, the great Viennese psychiatrist and founder of Logotherapy, was once asked how he reconciled his practice with his faith. He replied that the purpose of psychiatry was to heal the soul, while that of religion was to save it. I came to the conclusion that the soul cannot be healed until it is first reformed and that the question of meaning will eventually, and necessarily, beg questions that invoke a consideration of faith. For me, faith provided the best answers to these questions. I have been a behavioral anthropologist, cognitive psychologist and physician. Mending of a Broken Heart looks at the question of meaning from multiple perspectives including medicine, anthropology, humanism, Greek philosophy, eastern philosophy and faith. It shows where each can contribute, where some fall short, and where faith makes unique contributions. Mending of a Broken Heart is meant for the person of faith or the spiritually minded. It is a personal journey told from a personal perspective. It is heartfelt, poetic and searching and will appeal to the person who seeks to live life with all that they are: heart, soul, mind and strength. 3. WHAT DO YOU HOPE WILL BE THE EVERLASTING THOUGHTS FOR READERS WHO FINISH YOUR BOOK ? WHAT SHOULD REMAIN WITH THEM LONG AFTER PUTTING IT DOWN ? The measure of a life worth living is whether at the end one can say not that it was lived well but that it was well lived. A life lived well will be happy, but it is the life well lived that is meaningful. Happiness speaks to our health, meaning to our hope. The former provides for the necessities of life; the latter provides a reason for living. The former is found in self; the latter is found in God. Happiness comes from properly loving oneself. Meaning comes from loving others as oneself. The meaningful life is one that has been rich in significance because it has been both consequential and worthy. Loving another selflessly gives my life consequence and a sense of being valued. When I am loved selflessly, I experience its worth. The key to happiness is realizing it is not the same thing as meaning. The key to meaning is realizing it is to be found neither in the pursuit nor in the denial of happiness. We are spirit and we are flesh, and each part of our being needs to be nurtured if life is to be healthy and whole. Meaning provides for the health of the spirit, while happiness provides for that of the body. They are not synonymous and the health of both is essential to the contented life. 4. WHAT ADVICE OR WORDS OF WISDOM DO YOU HAVE FOR FELLOW WRITERS ? Write because you love to write, realizing that very few people are able to make a living at it. Be sober- minded. Determine whether your objectives require publishing or could be met by another means such as journaling. If you decide to publish be realistic, become informed, cultivate a taste for rejection, develop a thick skin and foster a humble heart. Rejection is the rule and success is the exception. Don’t use self- publishing as a means of circumventing rejection by a traditional publisher, unless you have exceptional credentials and a well-defined market that you are uniquely positioned to serve. Otherwise, you will be disappointed. Remember that publishing is a business and you need to treat it as such. Rejection is not personal and don’t make it or take it so. Becoming an author is a marathon, not a sprint, and you need to do what needs to be done not knowing, in the moment, whether it will lead to success. Begin with the end in view, but recognize that the journey consists in an eternal now composed of simply taking the next step. That is why you need to love the process—all of it—which includes the promotion and networking that is 80% of the eﬀort. Truly, as demanding as it it to write your book, there is a reason those in the know say that it is the easy part—it is because they are correct. 5. WHAT TRENDS IN THE BOOK WORLD DO YOU SEE AND WHERE DO YOU THINK THE BOOK PUBLISHING INDUSTRY IS HEADING ? Digital technology is progressively eroding the advantages of traditional publishers. Most readers now make their reading decisions via their social media connections and through the recommendations of their digital subscriptions, not at a bricks-and-mortar bookstore. The most powerful platforms such as Facebook, Amazon, and Goodreads are democratizing their advertising tools such that individual authors can gain the same market insights and achieve the same quality, reach and success as traditional publishers. No longer are traditional publishers gatekeepers to readers and authors are able to build careers using the same crowdsourcing techniques that have revolutionized entrepreneurship—in fact, publishing is moving away from a commodity-oriented market to one where entrepreneurial and networking skills predominate. A new paradigm is emerging. Nevertheless, traditional and self-publishing remain in many respects a two-tier system running on parallel tracks. Traditional publishers have connections, experience and expertise that most first time authors do not. The query process, though terribly diﬃcult and demanding, helps assure that only works with some promise of success make it to market. It is also a way of finding an agent who is excited by and will take a personal interest in your book. At the same time, the definition of success is personal and the rise of self-publishing is enabling the emergence of “mid-list” authors who can make a satisfactory living doing what they love while maintaining control of their own destiny. In a world of 7.5 billion people, it takes only an infinitesimal fraction of followers to make a living. It is all about targeting and reach, and here the rise of digital publishing and advertising and self-service analytics has gone a long way to creating a new game with new rules and new opportunities. 6. WHAT GREAT CHALLENGES DID YOU HAVE IN WRITING YOUR BOOK ? Writing the book was the easy part—if 5,000 some-odd hours of single-minded focus can, by any stretch of the imagination, be considered “easy”. Understanding and executing the level and scope of personal eﬀort required in promoting my book has been mind-boggling, but immensely satisfying. I have had to develop a fund of knowledge in regards to establishing a social media presence, development of advertising creative, market segmentation, market analysis, benchmarks for ROI, and just plain stamina (a “marathon mindset”) that was unexpected. These realities, however, are an intrinsic part of every author’s journey—whether that is with a traditional publisher or as a self-published author. Digital and social media may have created new opportunities, but they have also created new rules and demands. They may have leveled the playing field but they have also raised its altitude a few thousand feet. 7. IF PEOPLE CAN ONLY BUY ONE BOOK THIS MONTH , WHY SHOULD IT BE YOURS ? This book addresses the most important questions a person will ever ask and guides them to the answers that will have the single greatest impact on the quality of their lives. Purpose, meaning, hope and happiness are not optional parts of existence and they have no expiration date. Even though they are the measure of our lives, they are experiences we are born into with little more than an instinctual understanding of their nature are and no practical understanding of how to achieve them. Popular wisdom regarding meaning is not so wise, and what insight most gain is often at the cost of a lifetime of accumulated mistakes. At the same time, too many consider these issues seriously only at the middle or end of their lives when things do not turn out as they expected or desired. I do not want to see others live lives of regret because they have postponed these questions until they can no longer be avoided and less can be done to change the outcome. Rather, I want to see others live full and meaningful lives because they have grappled with these questions with the necessary understanding that brings them the contentment they desire—an understanding I endeavor to give them, as a fellow traveler, and as a physician and behavioral specialist. 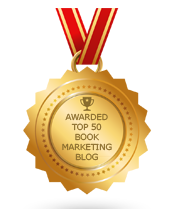 Can You Market Your Book For 5 Minutes A Day?